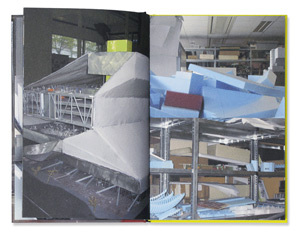 The book 'Made by the Office for Metropolitan Architecture. An Ethnography of Design' presents an ethnographic account of the design rhythm in the Office for Metropolitan Architecture. 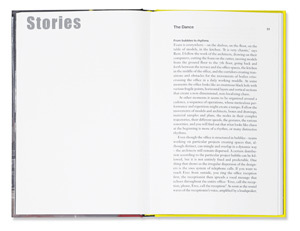 Written as a collection of short stories, the book draws on the mundane trajectories of models and architects at the OMA and shows how innovation permeates design practice, how everyday techniques and workaday choices set new standards for buildings and urban phenomena. In these stories of invention the ‘Eureka!’ moments are missing. They are replaced by routine gestures of model making, recycling, assembling, recollecting, rescaling. 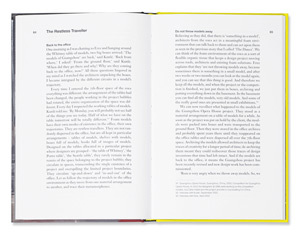 This enquiry on architecture-in-the-making is based on participant observation in the office of Rem Koolhaas, extensive interviews with architects, and photo documentation on various projects: the Seattle Public Library, the Whitney Museum of American Art in New York, the China Central Television (CCTV) in Beijing, the Los Angeles County Museum of Art (LACMA), la Casa da Musica in Porto, and others. 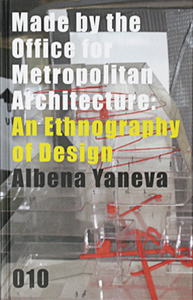 Author Albena Yaneva has been awarded the RIBA President’s Award for Outstanding University-located Research 2010.